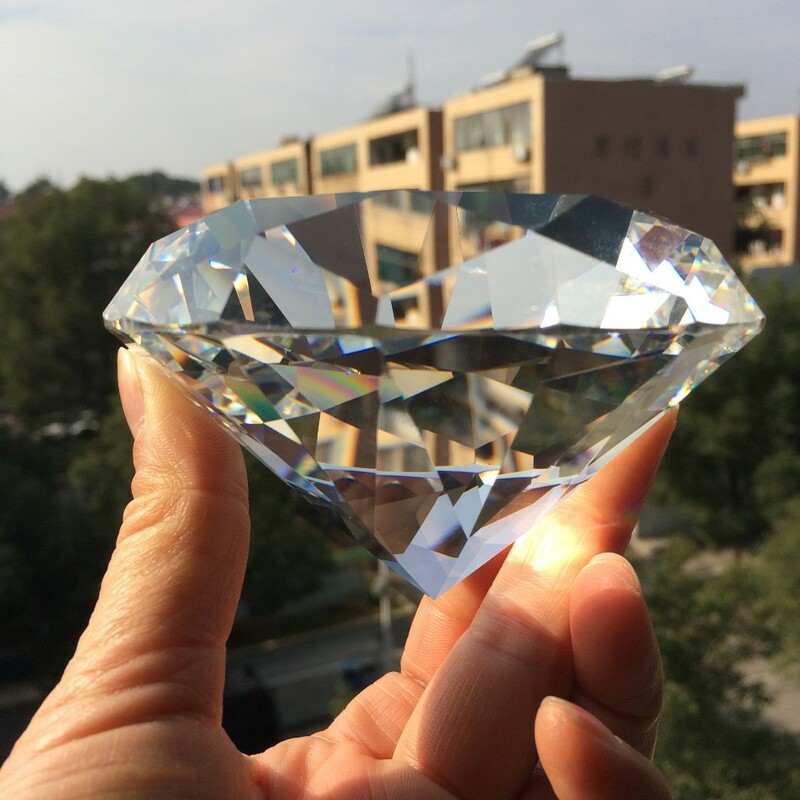 Please your girl this Valentine’s day with this giant crystal diamond with a mystifying sparkle and brilliant shine. 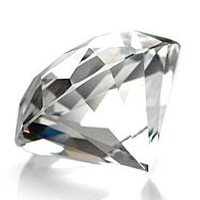 No matter how rich and famous she soon will be she will never ever get a diamond this size!! 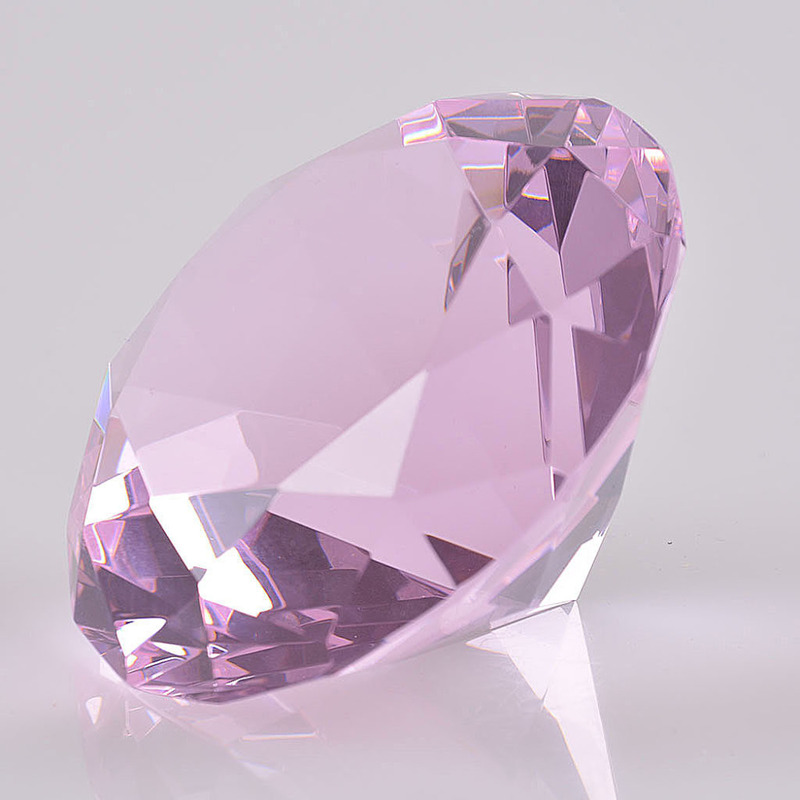 She will remember you for this all her life. 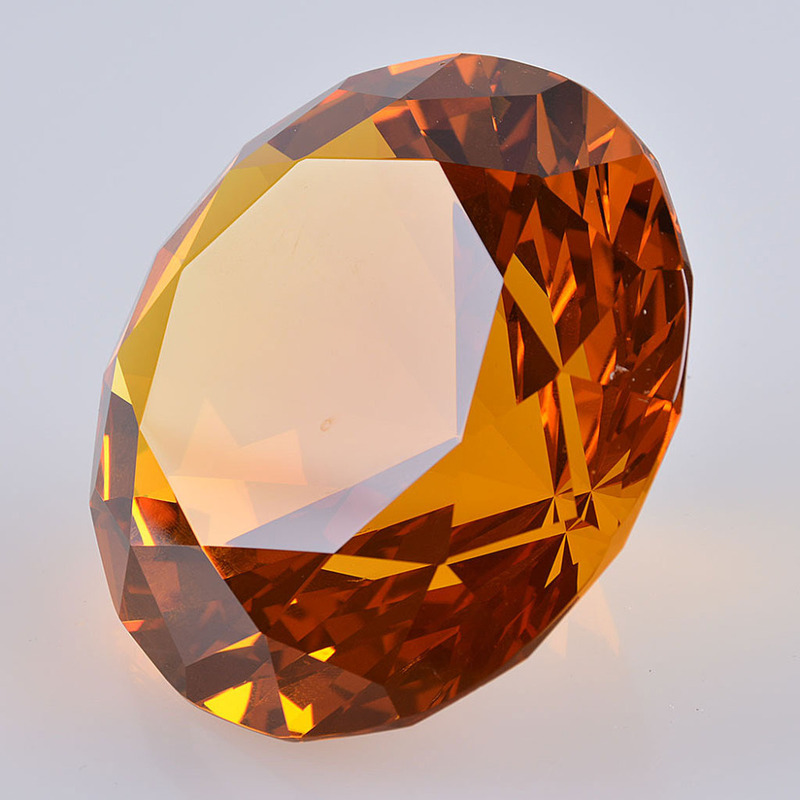 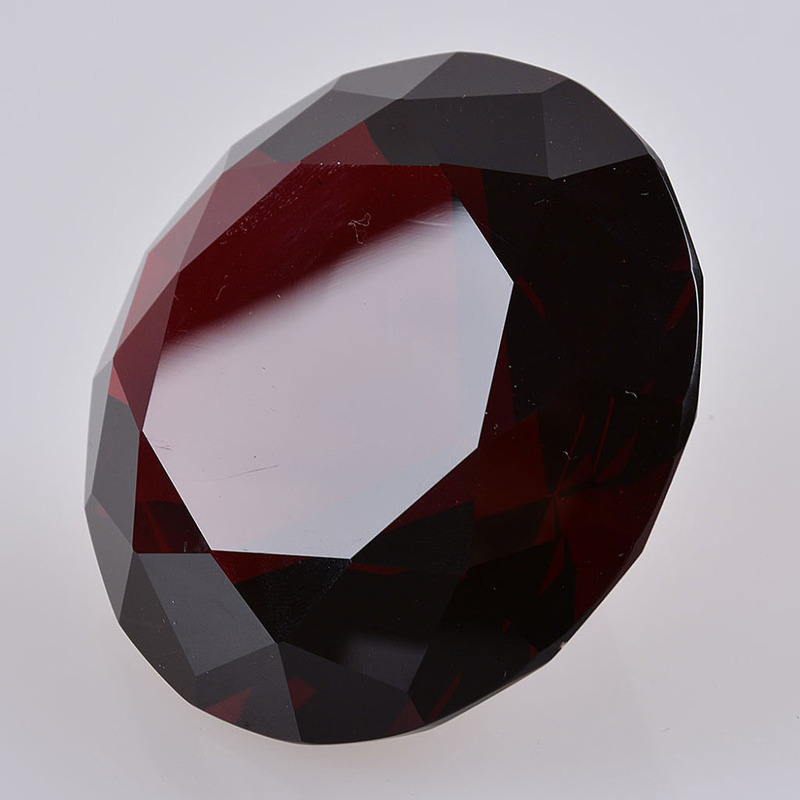 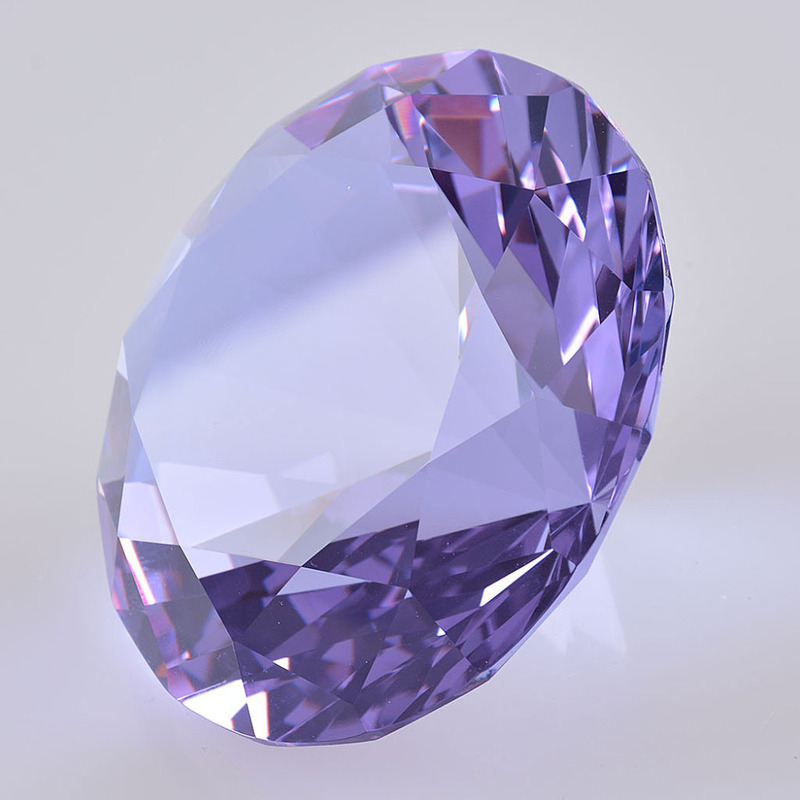 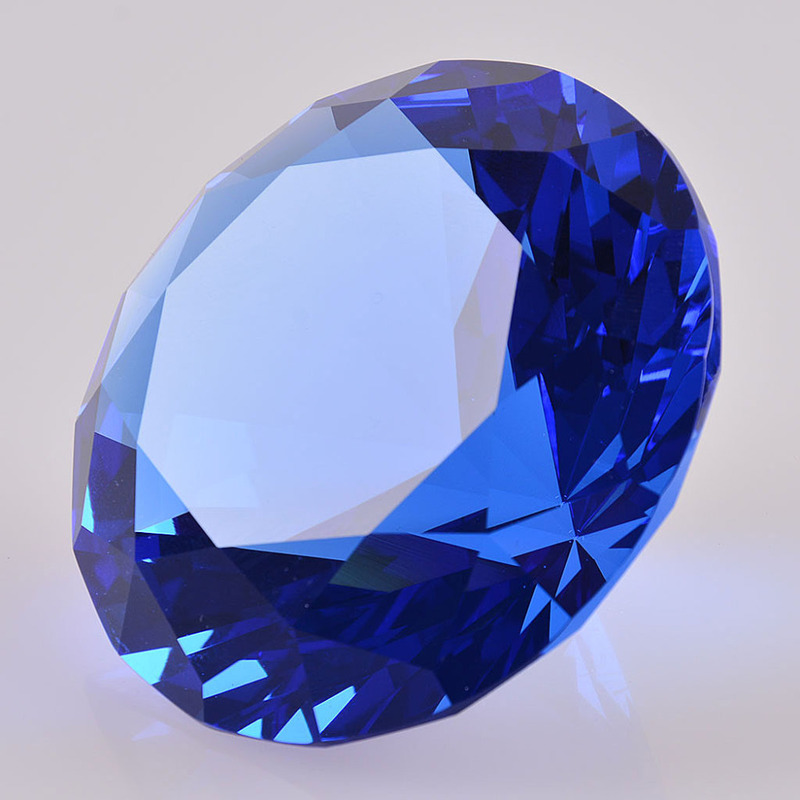 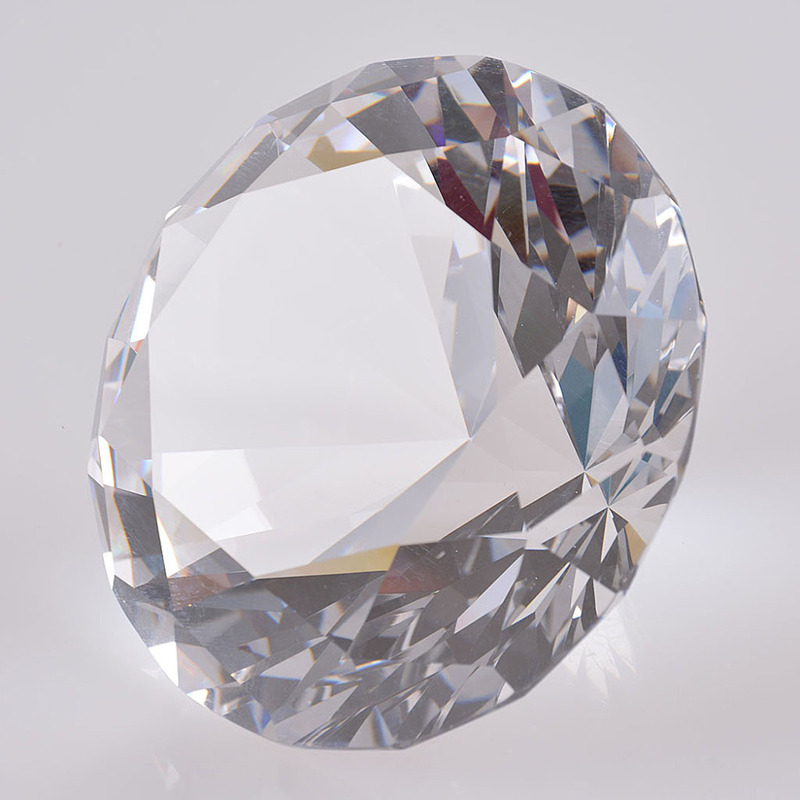 This huge crystal diamond is made from K9 crystal. 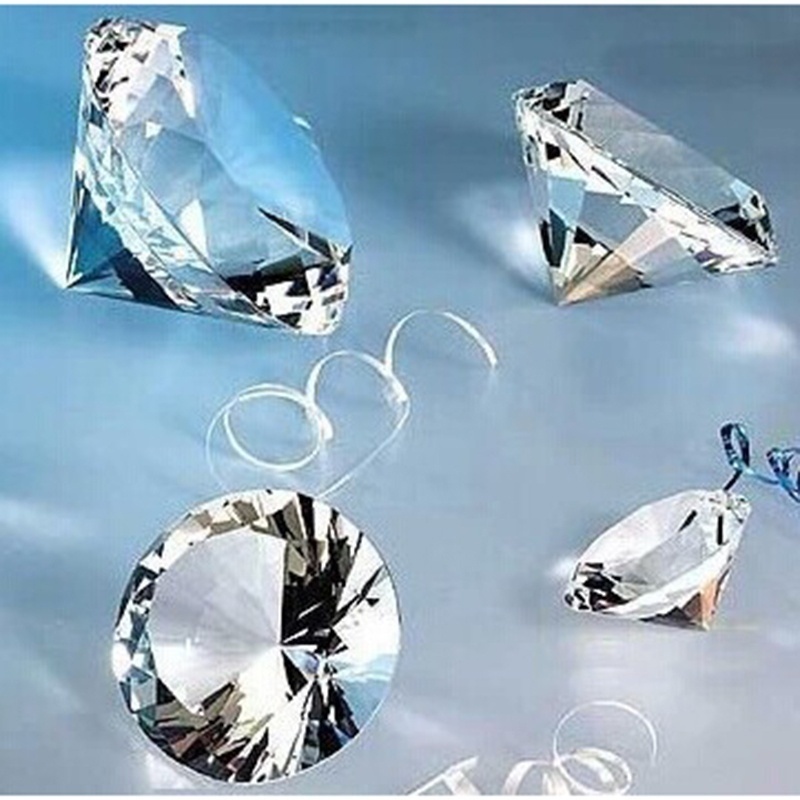 K9 crystal is one of the highest quality and most durable optical glass – crystals on the market and is prized for not only its clarity but its durability in addition to being affordable. 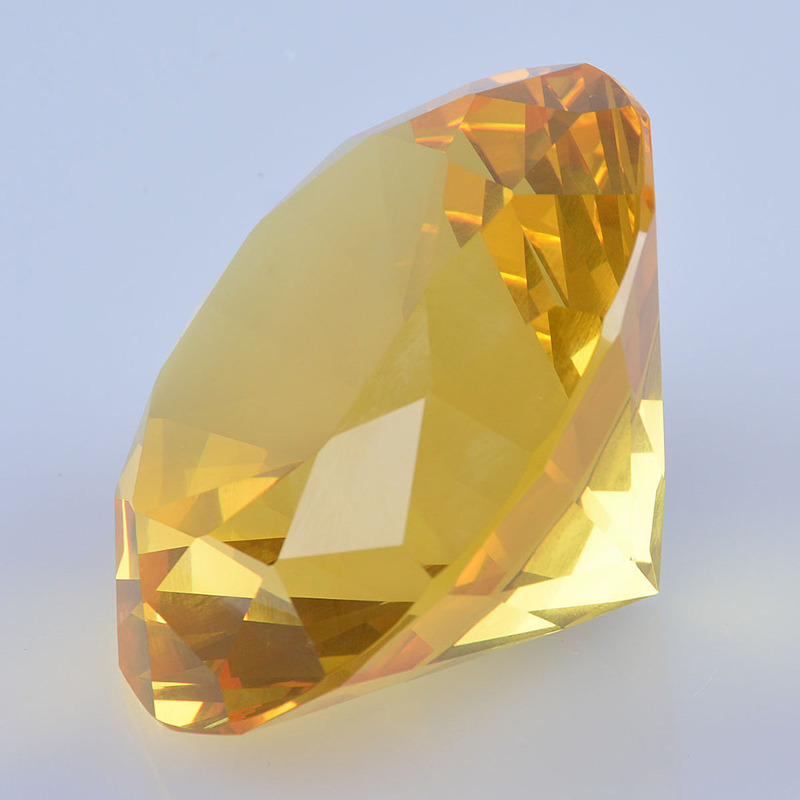 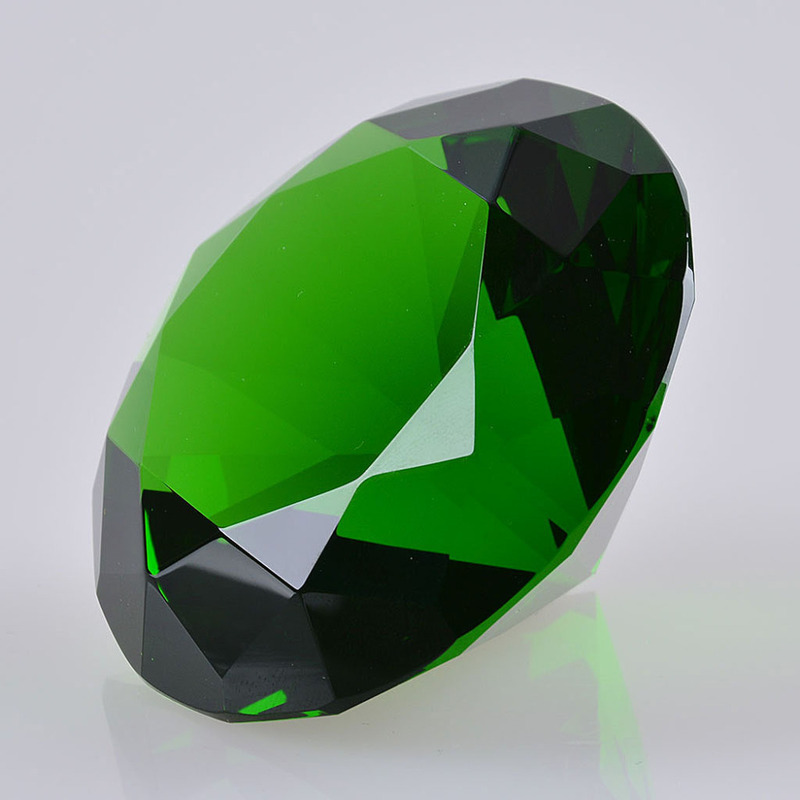 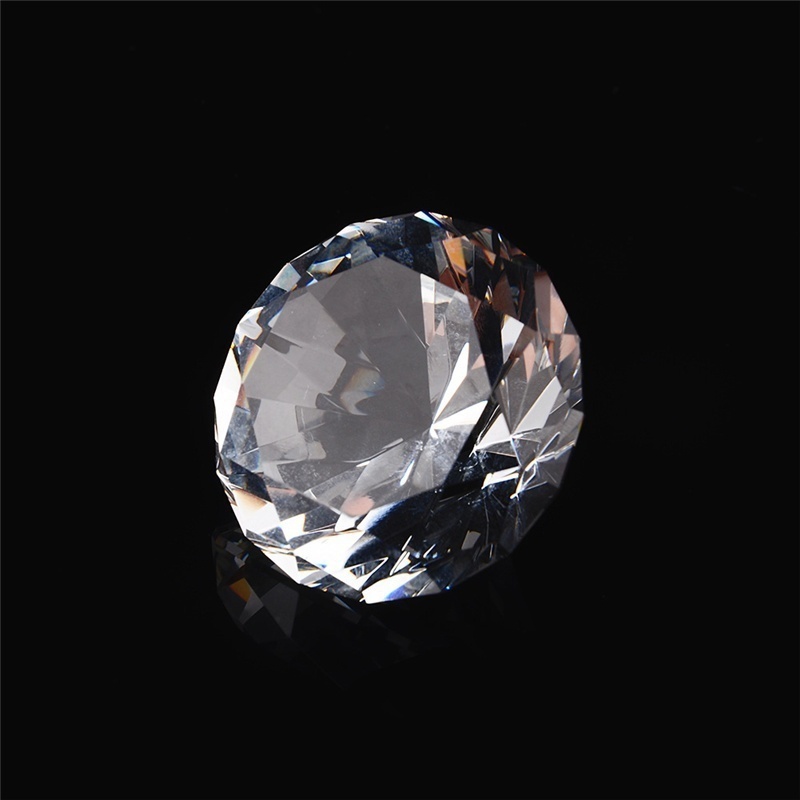 K9 Crystal is the choice of crystal used to make prisms for lasers. 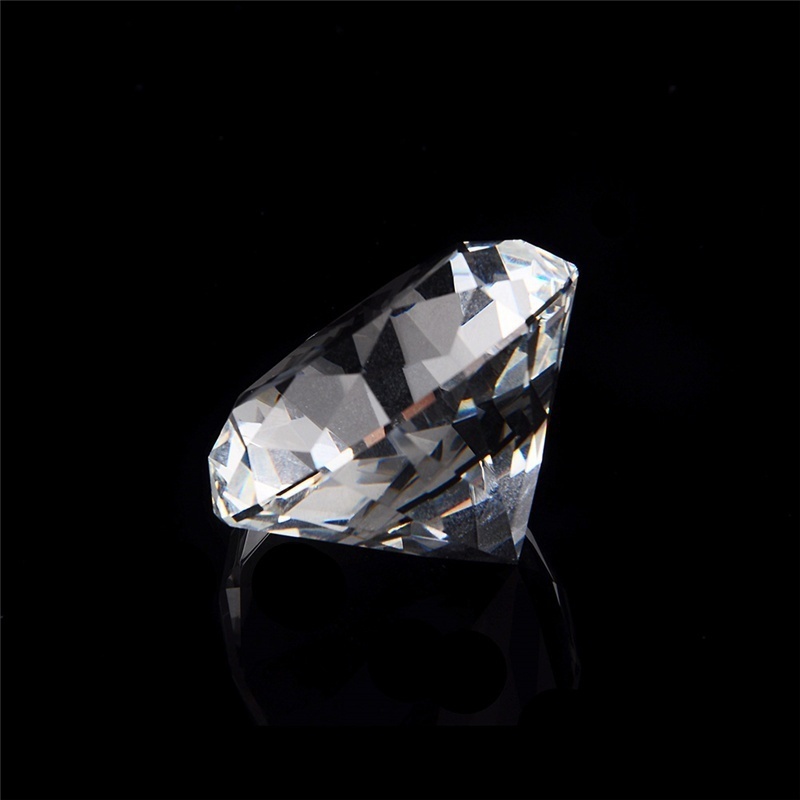 K9 has the same physical properties as 24% leaded crystal as it polishes, shines as well as sparkles the same as 24% leaded glass (crystal), but doesn’t have the lead, it is lighter than leaded glass and more durable. 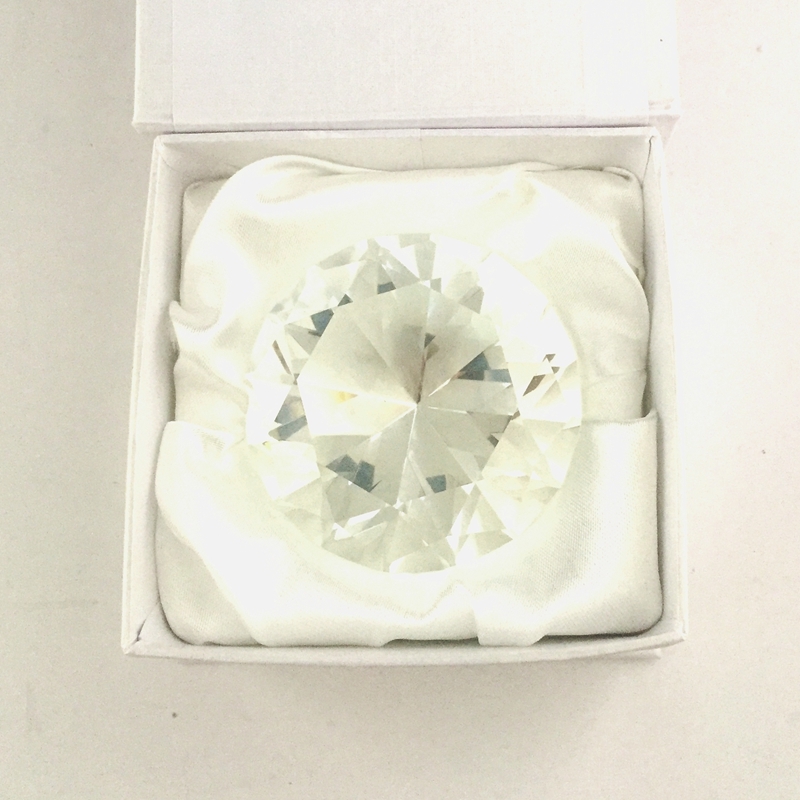 This 100mm crystal diamond is beautifully faceted so it will shine and sparkle fabulously in the light, perfect as table venue decoration and wedding gift!